✩ marks a favorite title. || * marks a title that is only in that list. ✩ Touhou Suzunaan ~ Forbidden Scrollery. ✩ Touhou Ibarakasen ~ Wild and Horned Hermit. ✩ Kamisama ga Uso o Tsuku. ✩ Is My Hobby Weird? ✩ Danberu nan kiro moteru? ✩ Komi-san wa Komyushou Desu. Touhou Bougetsushou ~ Silent Sinner in Blue. Touhou Bougetsushou ~ Cage in Lunatic Runagate. It might be too short for you, but you may like Cirque Arachne (or any other Saida Nika works). Very warm-hearted yuri. I’ll check it out. I have no problem with shorter works. Honestly, in some ways I prefer them. Not sure if you’ll ever read this BUT: I read Cirque Arachne. It’s definitely something of the size I’d review, but unfortunately I didn’t really like it. To explain: I felt like what development was there was too fast and what subtle things aside from the present goings-on (that is to say, matters of the past) were TOO subtle. I could somewhat tell what happened with Lotte and Teti’s past was obvious, but since Lotte is the real focal point of the series and her troubles with her past are a big concern, that I couldn’t completely get what actually happened meant I couldn’t completely get what her problem was. I ultimately did not feel a connection to the story, and thus I didn’t feel satisfied when, let’s say, the deal was sealed between the two main characters. I feel like I may have liked it more had the series been longer, and thus had more time to make me believe an attraction was fostered. It doesn’t need to be long to hook you, however I think this series might’ve used it well. If not that, well, we don’t really see the two of them performing together, we don’t get too much of why they might like one another, and then they’re together. I think it’s a definite missed opportunity to not have them perform together at all, we only see glimpses of their practice. Given ultimately they’re all about how when they work together it’s wonderful, not seeing them work together is a big no-no in my book. The basic “show don’t tell”. And for a personal thing, I am really not into circuses. I don’t know if that was a bias that had me against Cirque Arachne but yeah, I am against circuses. Probably would’ve been more interested with more setup, since I could’ve seen what the main characters REALLY like about their craft. I’ll probably still look into the author, Saida Nika, though. No reason to disavow simply because I wasn’t really a fan of one work. Well, I ought to be thorough! 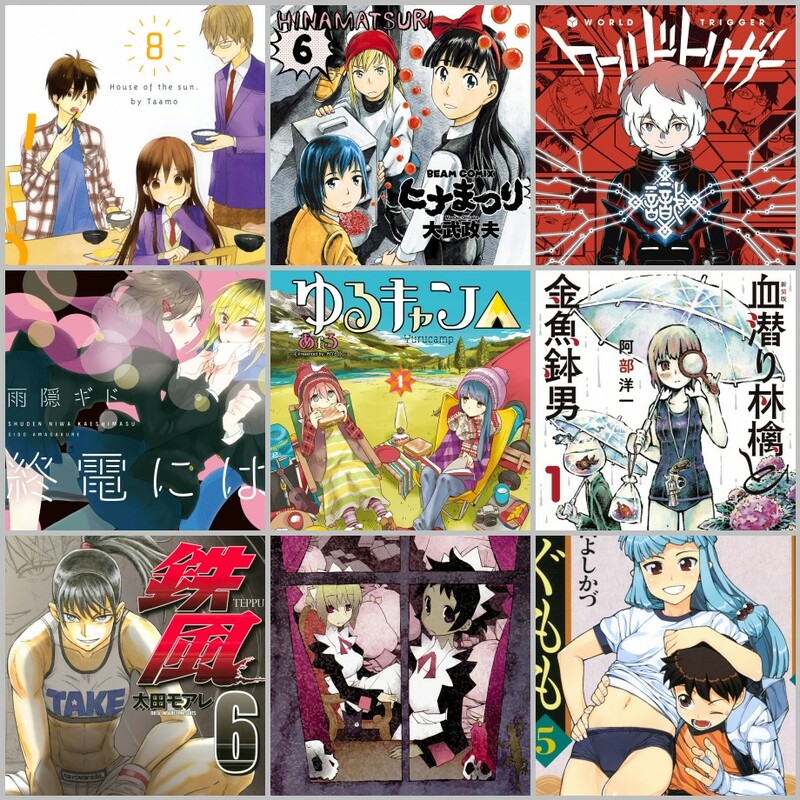 I’d love to hear if you have any words on any of Mizukami Satoshi’s works. Particularly since they all seem to be wrapping up soon. Maybe one day I’ll review something of his, but the only thing I’ve read from him so far has been Biscuit Hammer. I’ll need to read his other two prominent series eventually before I talk about him, or if I review Biscuit Hammer I’ll need to prepare for it over time since it’s a bit lengthier than most of the things I review/it’s been a while since I read it the first time. 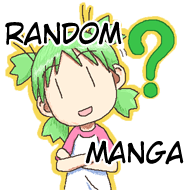 Dunno if this is the appropriate place to ask but do you know of any other bloggers who does manga reviews? I enjoy reading your blog + I think it’s a fantastic place to get recs (I go to your blog whenever I wanna read something new), so I’m just wondering if there’s more writers like you. Btw you should read Konobi if you haven’t already, it seems like you’d enjoy it. And I didn’t know what you meant by Konobi, but then realized that’s shorthand for Kono Bijutsubu ni wa Mondai ga aru, which is actually in my backlog. Will read it eventually. Oh, damn, and I forgot Weekly Manga Recap. It’s a podcast, they review manga by request on it. All kinds.